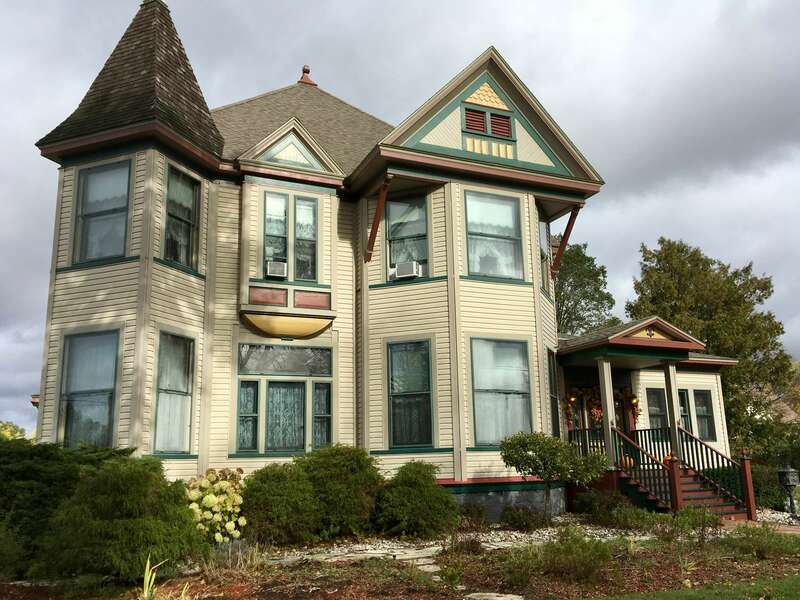 Step back in time in this 1890 Victorian lumber baron mansion with beautiful natural woodwork throughout, five intricately carved fireplaces, 11' ceilings, and period appropriate decorating. 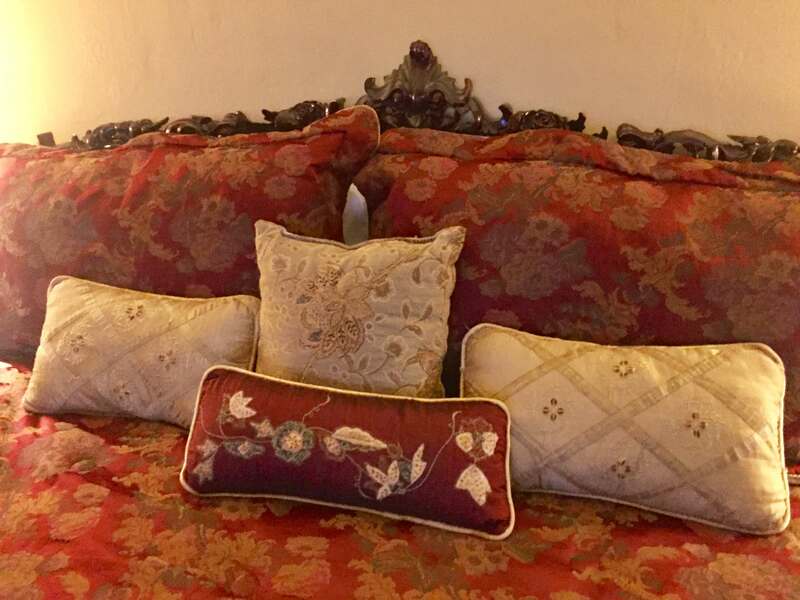 Large air conditioned rooms with private en-suite bath, hand-carved King or Queen bed, luxury linens and amenities, large flat screen TV, safe electric fireplace, hairdryer, and plush spa quality robes. The perfect Up North experience. Make tasting stops at the Paddle Hard, Rolling Oak and Dead Bear breweries. Take a tour or two if you wish, but at least stop to sample the flavors that distinguish each of the craft breweries that have been so lovingly created. Finish your tour at Grayling’s iconic Spike’s Keg ‘O’ Nails restaurant, the “place to be” for burgers for the past half century. 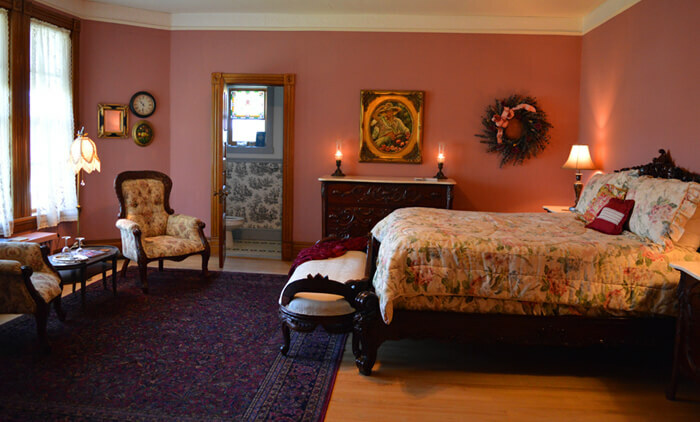 Then retreat to a cozy parlor or your own private room at the historic Hanson House. Kayak, canoe or fish the storied Manistee and AuSable Rivers, boat or swim Lake Margarethe. Water surrounds Grayling and public access is plentiful on all its waterways. From sportsmen to kids to jet ski enthusiasts, there is a place for everyone within an easy distance of Hanson House. Make us your adventure headquarters, unload all your gear, and head out the door. Something is always happening in Grayling. 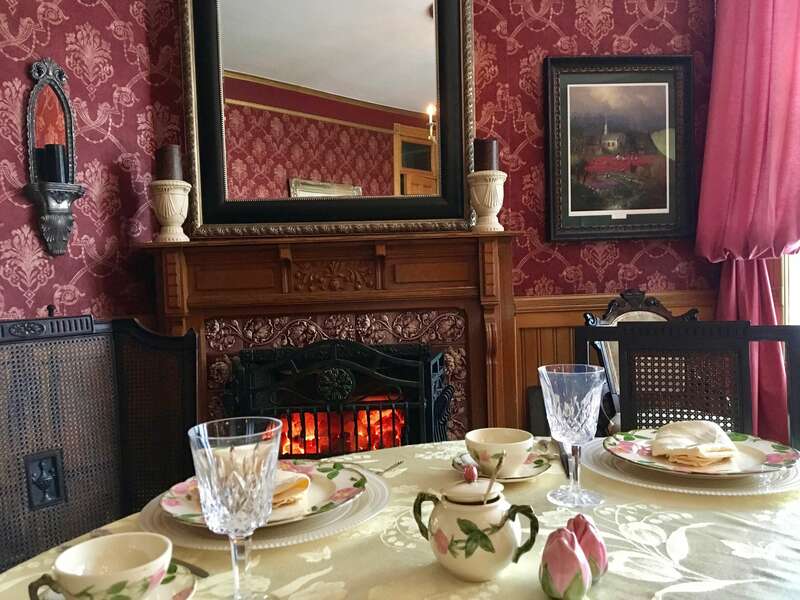 Stay at the classic, historic Hanson House and join in the adventure. The Hanson House is at the center of the exemplary Up North experience. Out the door are golf courses, beaches on Lake Margarethe, kayak rentals to paddle the AuSable and the Manistee, miles of hiking trails, and, in winter, snowmobile trails all the way to Mackinac City if you wish. The town is even headquarters for the 120-mile National AuSable Canoe Marathon. Fly fishing events, bicycle races and the miles of cross-country trails distinguish Grayling. An ultimate destination for birdwatchers, the county features the perfect habitat for bird watching tours, including the rare Kirtland warbler. Never be idle unless you really want down time. Opportunities are everywhere in Grayling, and so accessible off I75. How can you miss? Hanson House, with its large spaces and welcoming ambiance, frequently hosts families coming to experience all that Grayling offers; the largest suite sleeps four comfortably. 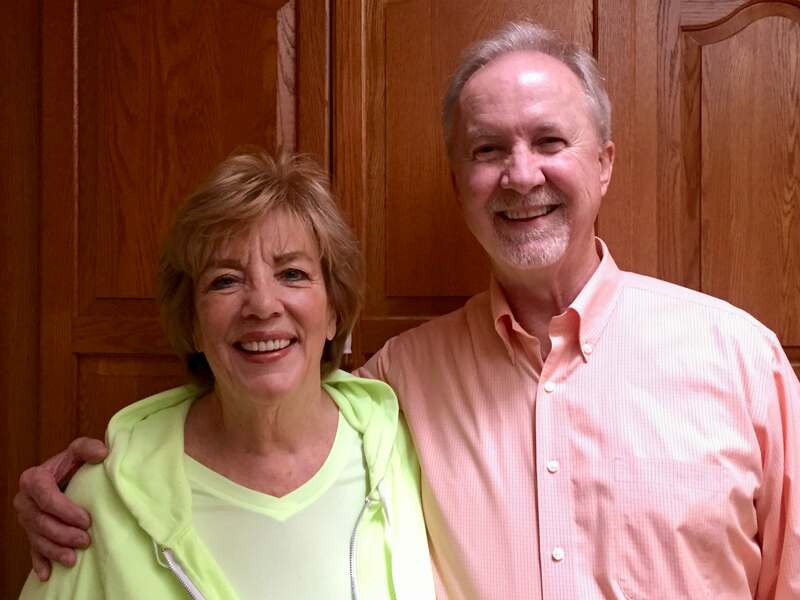 The Hanson House is ideal for family reunions and other events. Not only can the inn host larger gatherings, but with the many adventures available in Grayling, every member of the family will find something suited to their interest during your stay. You can’t miss. 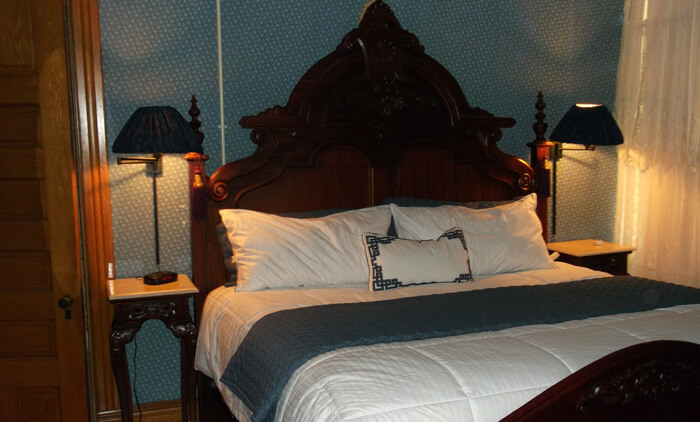 Our classic, spacious Victorian inn was built by the pioneering lumber baron Hanson family in 1890. Distinguished community leaders, they played a pivotal role in establishing Grayling, bringing electricity to the town, donating the land for the Michigan National Guard’s Camp Grayling, and creating Hanson Hills Recreation Area. We honor their role by sustaining the welcoming ambiance and thoughtful detail of their grand home. But we’ve added the amenities you expect, including en suite baths, air-conditioning, WiFi and wide, flat-screen TVs. It is a pleasure to host you in this quintessential lumber baron mansion.